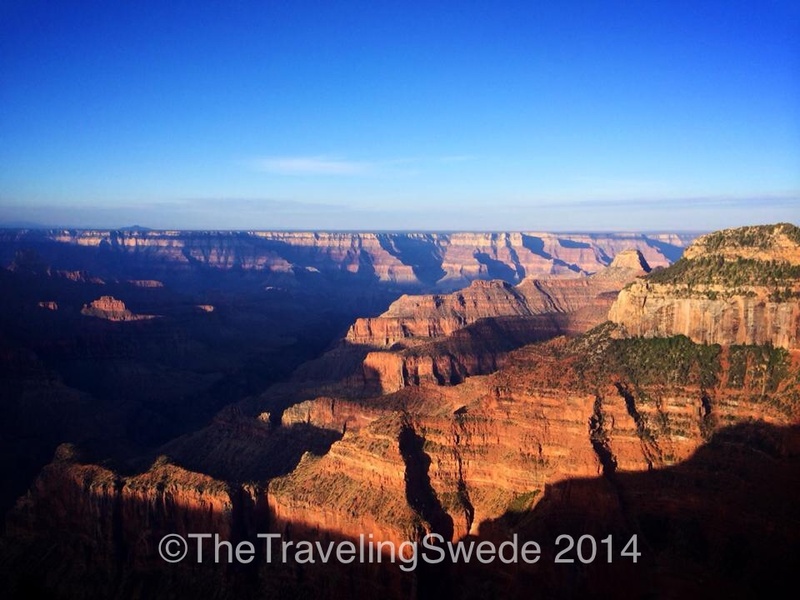 After a great time visiting National Parks in California it was time to see the North Rim of Grand Canyon. 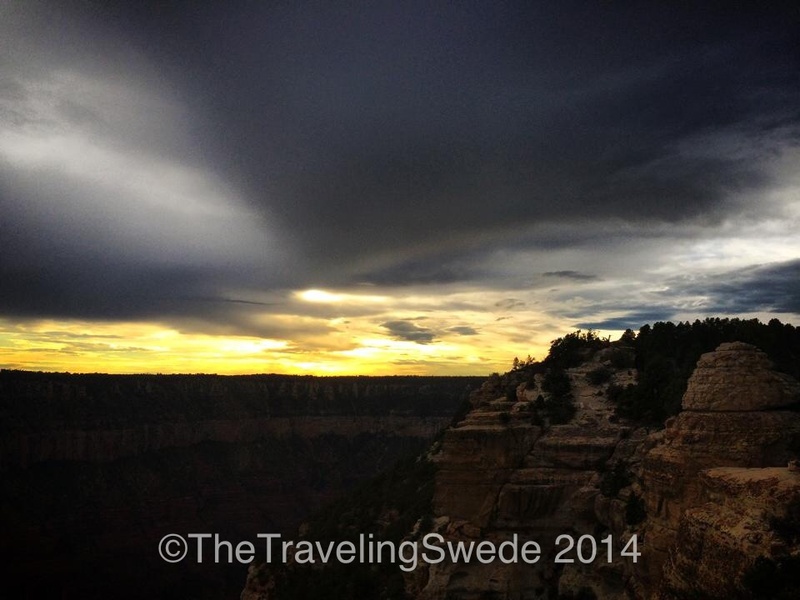 I’ve been to the South Rim before but I had never visited the North Rim. The rims are not connected via road, only trail. As I was driving in from Hurricane I almost went to another favorite park of mine, Zion’s National Park. 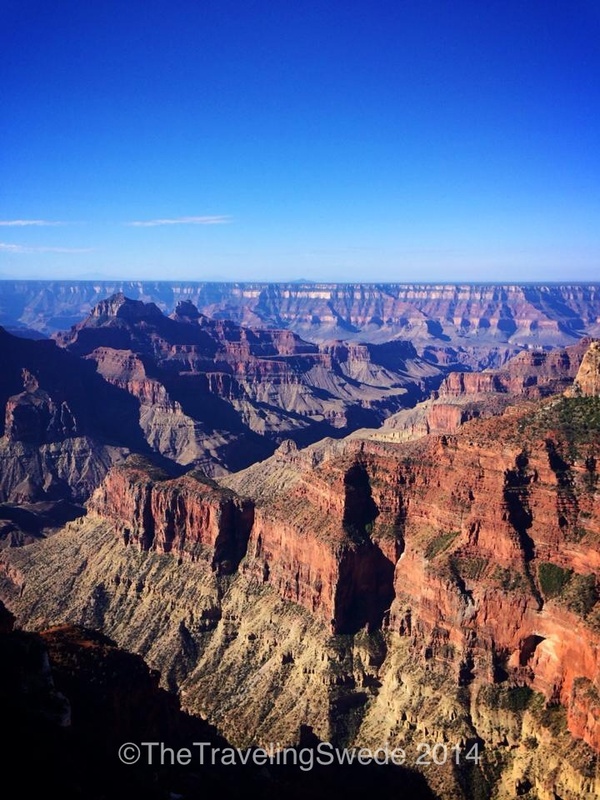 But I was Grand Canyon bound. The weather was stormy and big clouds was filling up the sky. 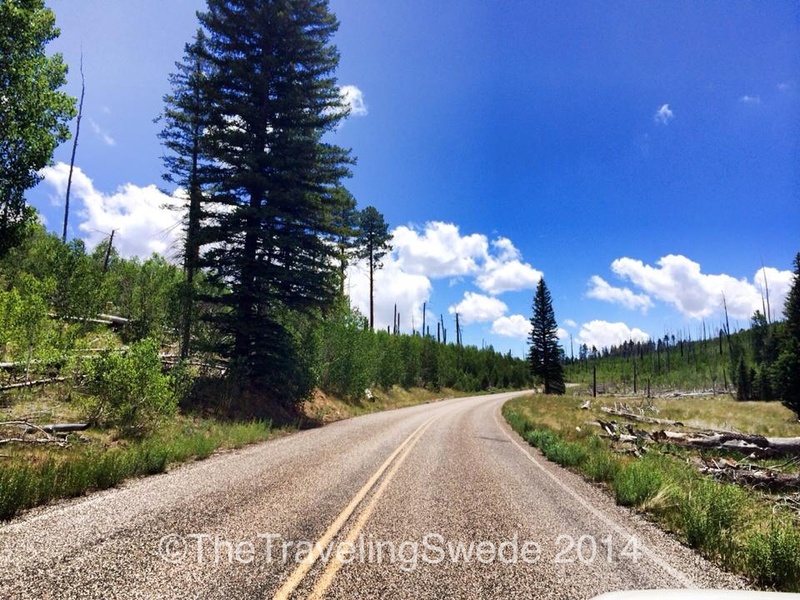 The drive is along a plateau full of trees and it doesn’t feel anything like the red rocks of Grand Canyon. It’s more mountain and forest like and then you arrive to open prairies where bison graze. 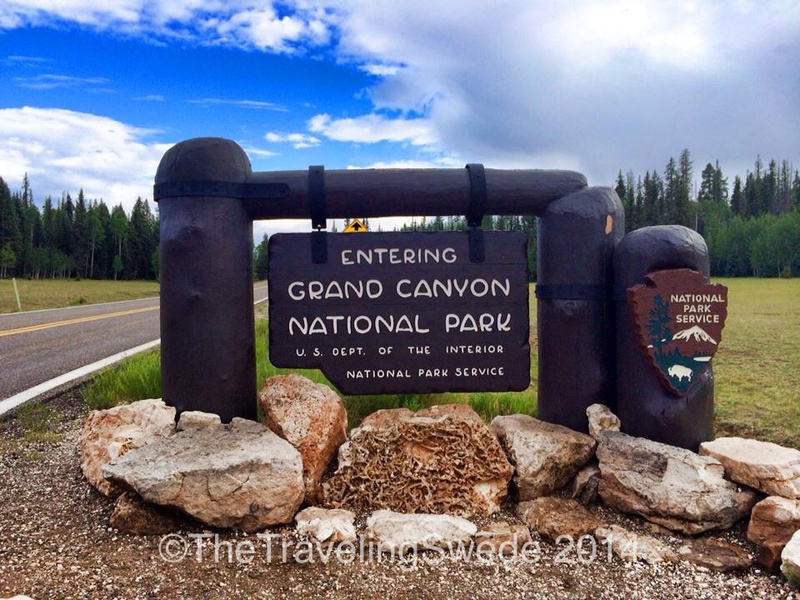 I didn’t see any bison when I was there but I was told herds of them can be seen. I arrived in time for the sunset. I went up to Bright Angel Point where the Visitor Center, Grand Canyon Lodge and other facilities are to check out the sunset. There is no reliable cellphone service in the park, for which I’m always grateful for as you don’t have to listen to people talking on their cell phones. I want to enjoy the sounds of nature when I’m in nature. Except we all had to as one person somehow managed to get enough service to loudly conduct his business yelling at whoever was on the other line for a good half hour. He ignored looks and being told to quiet. 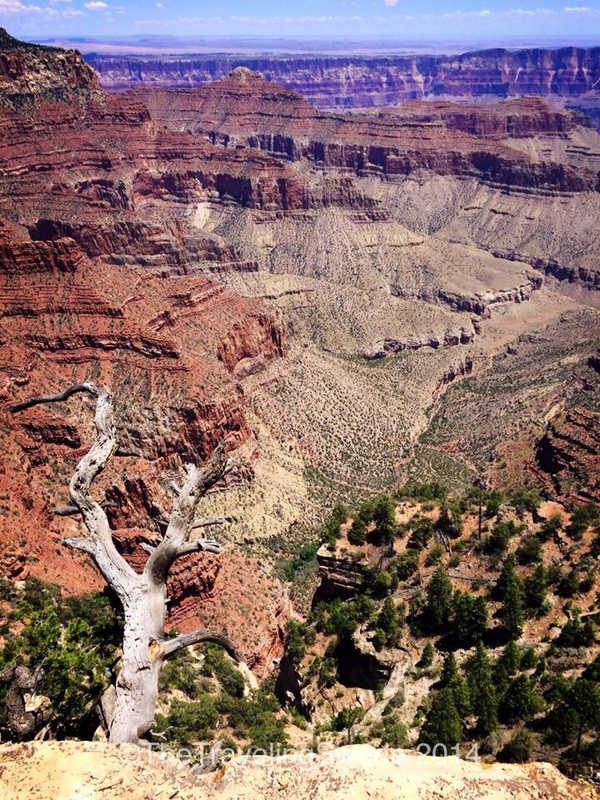 My advise, if you can’t leave Wall Street behind to enjoy the amazing Grand Canyon, stay there. 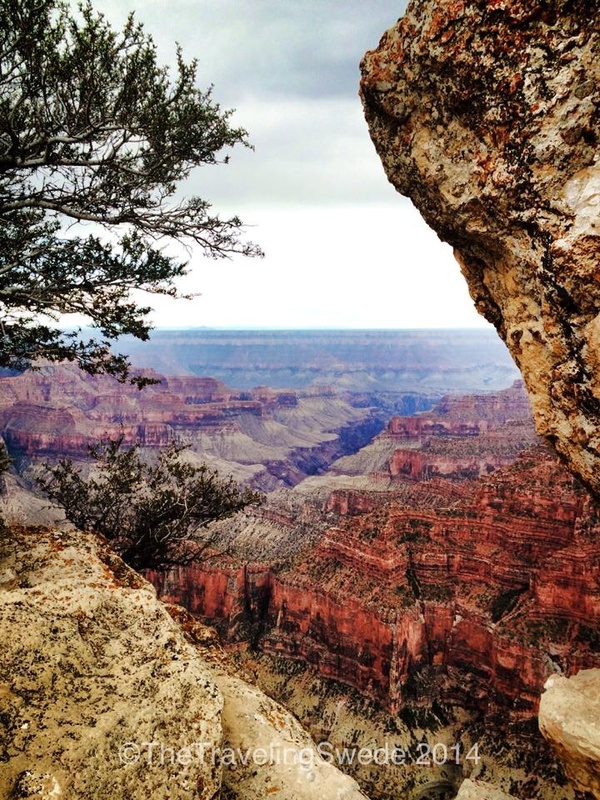 Great vistas awaits you as you hike up Bright Angels Point. 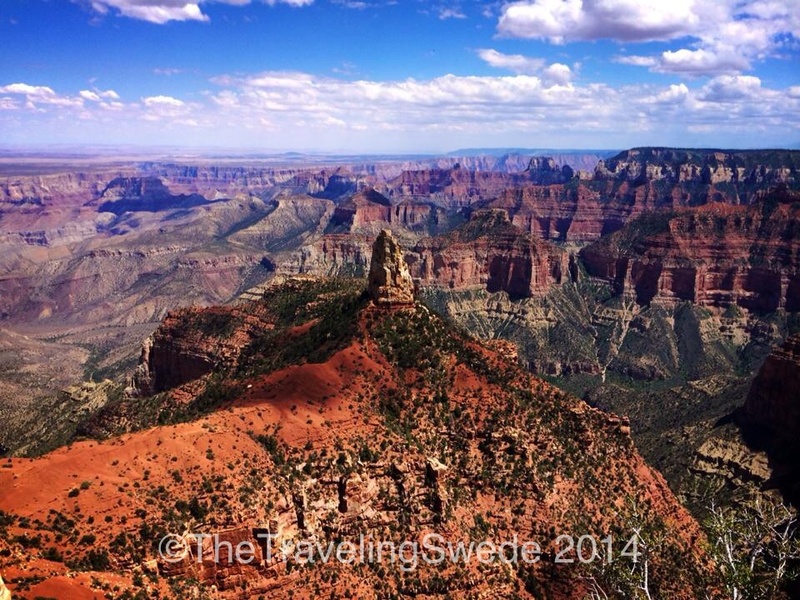 The hike up to Bright Angels Point is short and steep but well worth the hike. After watching the sunset at Bright Angels Point it was time to find a place to camp. With free camping in the National Forest right outside the park that’s where I opted to go. I found a great spot off a dirt road where clearly others had camped but since it was a weekday I was the only one there. I got an eerie feeling as I pulled into the primitive “camp spot” but ignored it. As I got out of the car I felt as if someone was watching me. I looked around and told myself I was overreacting. I had a quick, easy dinner and then settled in but it wasn’t long after I got a really bad feeling. This was not a place for me to be. As a solo traveler, especially as a women, the way to stay safe is to listen to that gut feeling. If something doesn’t feel right there is a reason for that. I jumped in the driver seat and took off. Times like that being able to climb from the back to the front and having everything I need inside the walls of my vehicle is nice. As I drove off I kept feeling this deep panicky feeling that I had just escaped something bad. Not a great way to start the night. I quietly reprimanded myself for ignoring the feeling from the start. After driving around for a while I found a new spot in an open area that felt safe. Needless to say I didn’t sleep great that night so when morning came I felt like staying in my sleeping bag. Which I did too long. By the time I drove into the park I could tell I was going to be just a tad too late for the sunrise. The sun was sitting at the top of the ridge already when I arrived at the rim. But I was blessed seeing beautiful colors as I drove in. Wow! This was the sunrise as I was driving towards the park and Bright Angels Point from where I had camped. Just in time to see the sun peek over the ridge line. 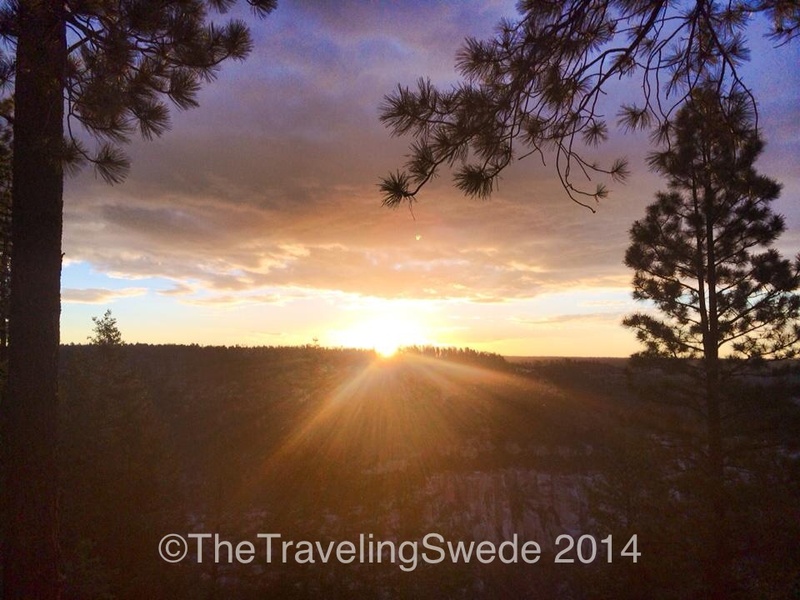 I once again hiked up to the top of Bright Angels Point where the sun was starting to light up the canyon. With only a few people there we enjoyed a nice quiet sunrise. Ah, what a great way to start your morning! 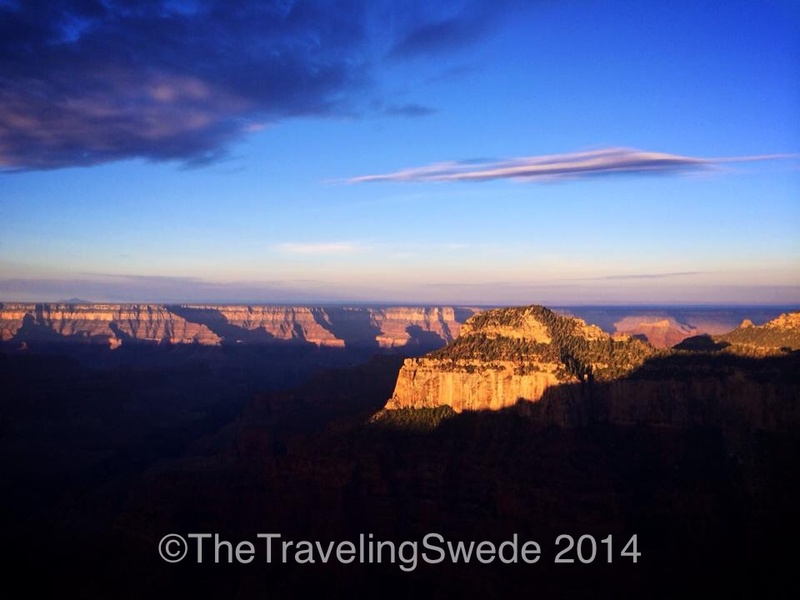 After enjoying the morning view along the point it was time to have breakfast at the Grand Canyon Lodge. I normally do not splurge but at times having breakfast with a view from a lodge is just what a girl needs. Plus after seeing the menu prices I was shocked at how inexpensive my breakfast was going to be considering where I was. Score! 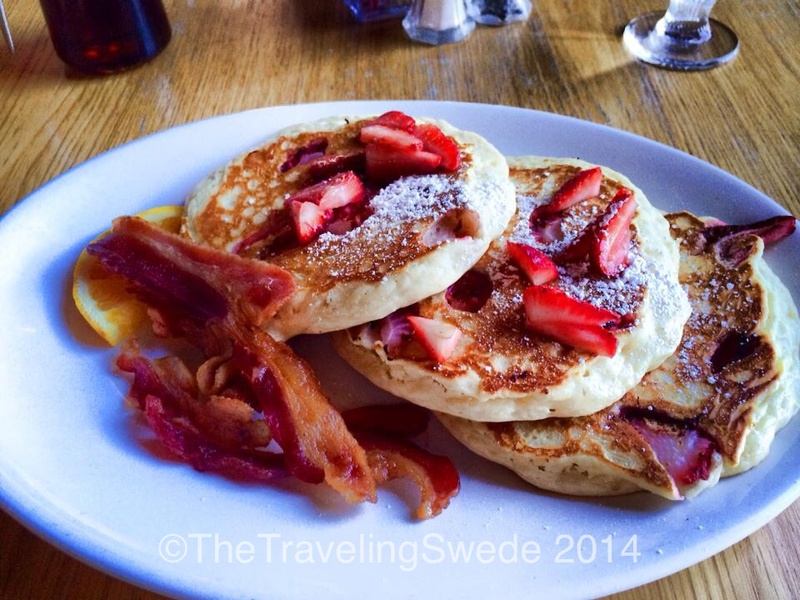 Plus they serve free-ranging, natural and local food as well as gluten free options. 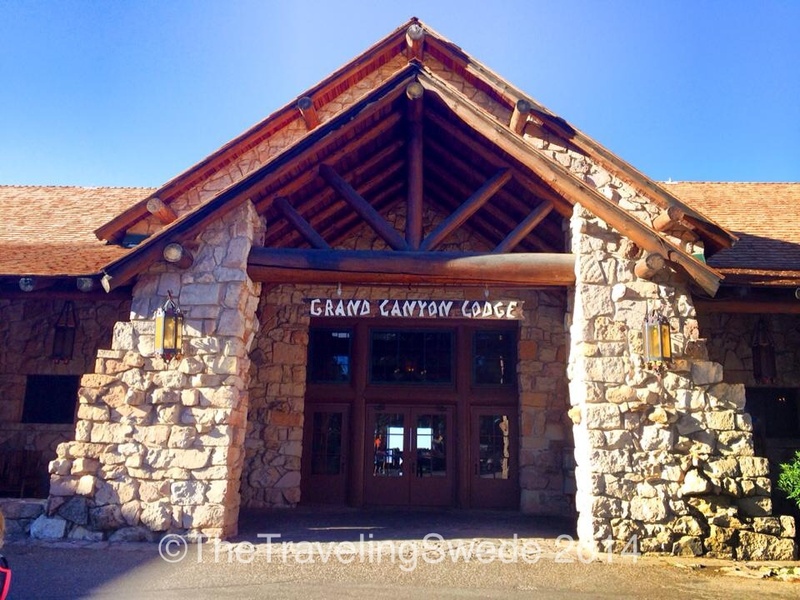 Grand Canyon Lodge holds a lot of history and sits right on the edge. Cup of coffee. Check. Morning view. Check. Life on the road. Priceless. After snarfing down this plate of yum-yum I was one happy girl! After breakfast and sending off some postcards it was time to explore the rest of the park. The north side is so different from the south side but the vistas are just as incredible. There are two roads with overlooks within the park. 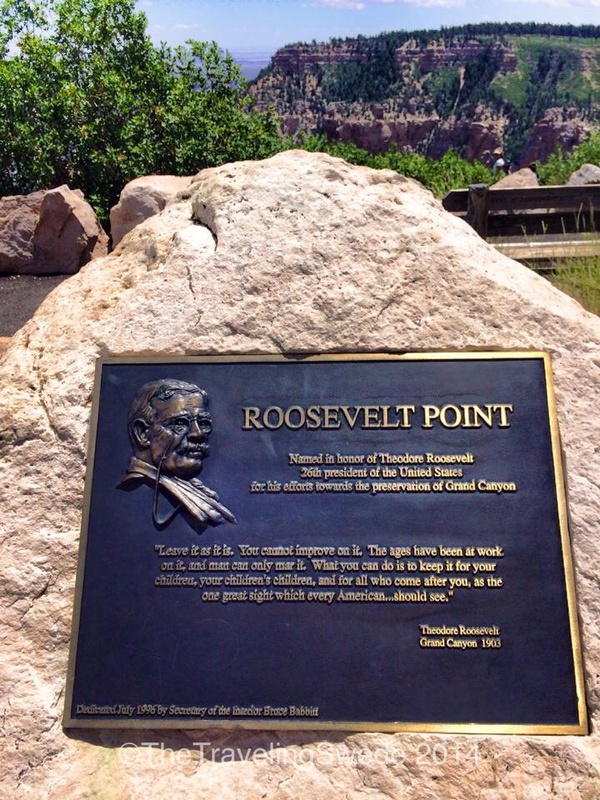 One is the road out to Cape Royal where you stop at Roosevelt Point and Walhalla Overlook along the way and the other is to Point Imperial, which is the opposite direction. 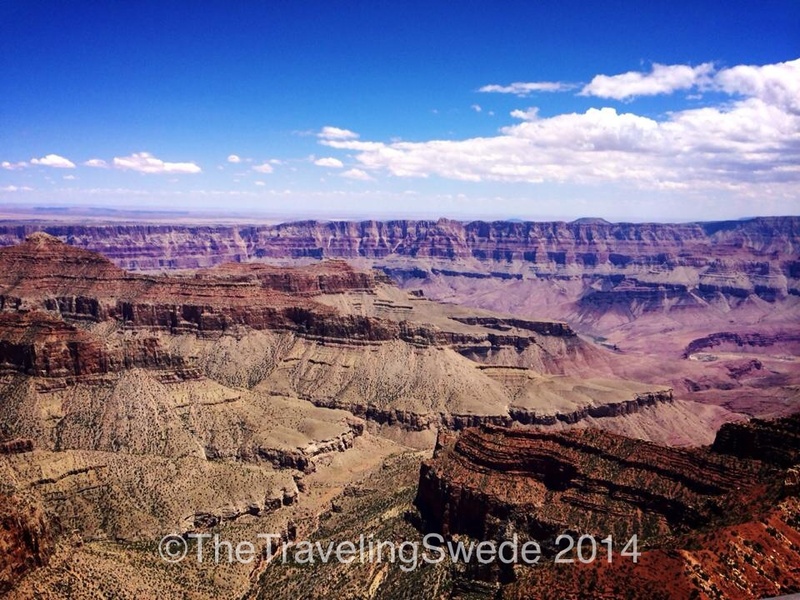 At each overlook or point you have incredible vistas of the Grand Canyon. 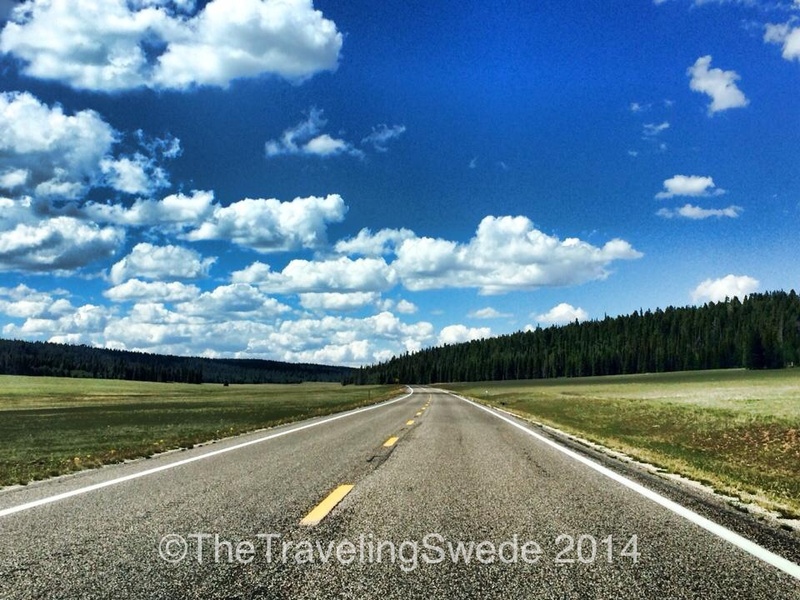 Plan on at least a half a day to enjoy both scenic drives. This is the view as you are driving towards Roosevelt Point. Doesn’t feel anything like Grand Canyon. Wise words by President Roosevelt. Now this looks like Grand Canyon! Standing close to the edge looking into the canyon gives a different perspective. It’s incredible how nature has shaped and continues to shape this landscape into what it is. 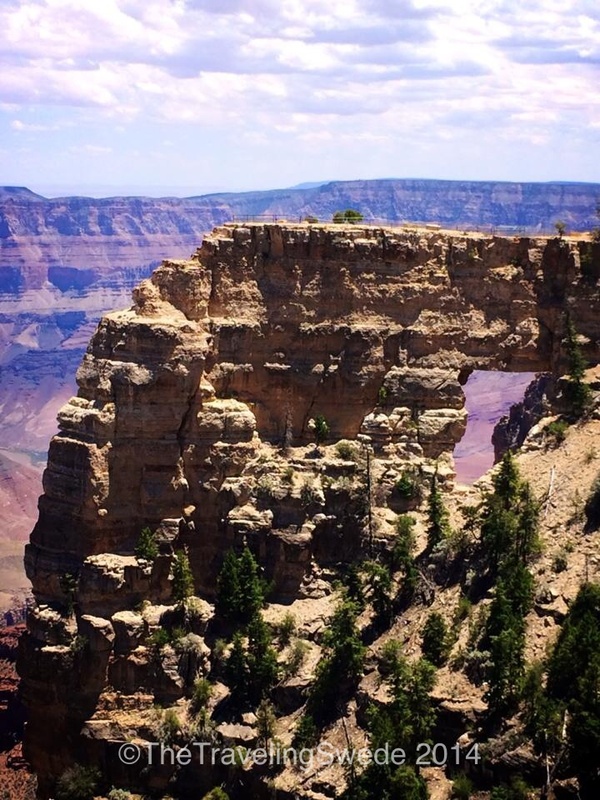 As you are walking the trail to Cape Royal there’s a short side tour to see Angels Window. Another view of Angels Window. It was strange to later walk on top of that ridge line knowing how it looked like from this point of view. 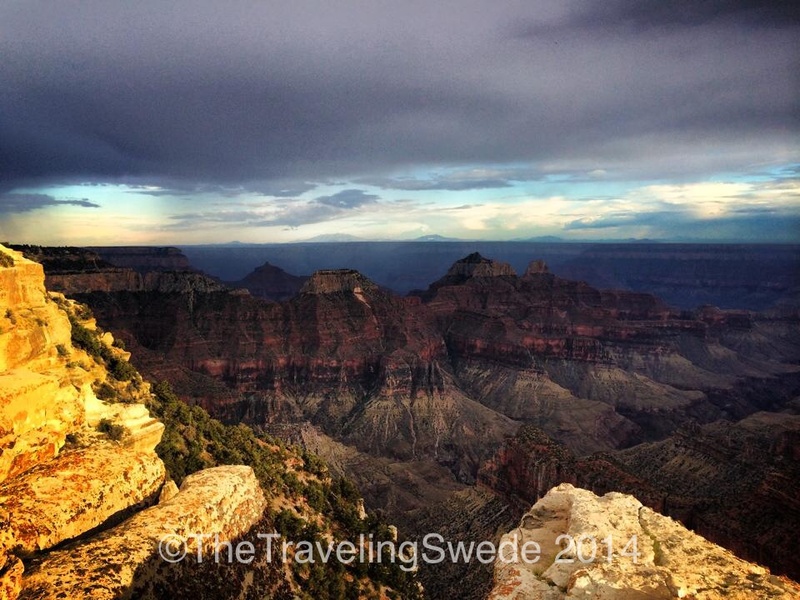 No matter what point, overlook or viewpoint along the rim amazing vistas awaits. 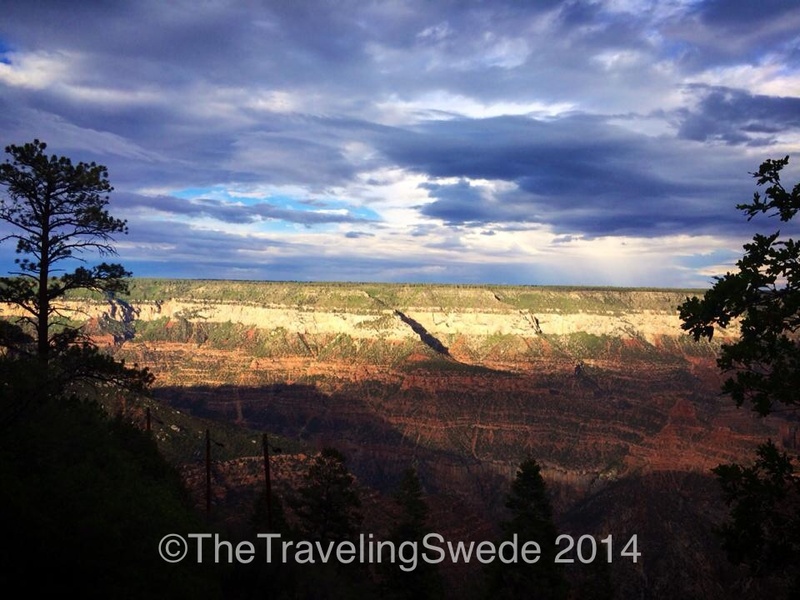 One more view of this incredible north rim of Grand Canyon. After a great day at the park it was time to start driving back home to plan the next road trip. Prairie land right outside the park entrance. 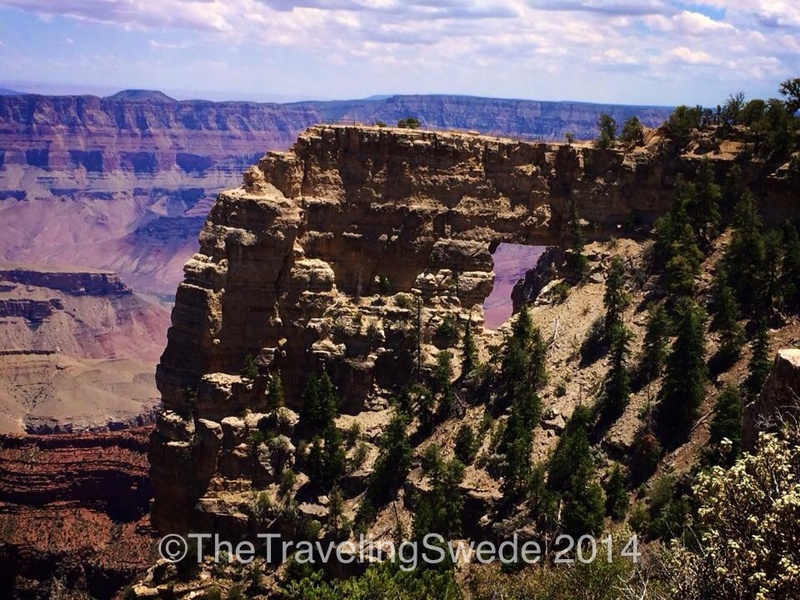 So strange to think of that not far from this lays the North Rim of Grand Canyon. What a beautiful place! It’s been years since I’ve been to the north rim. 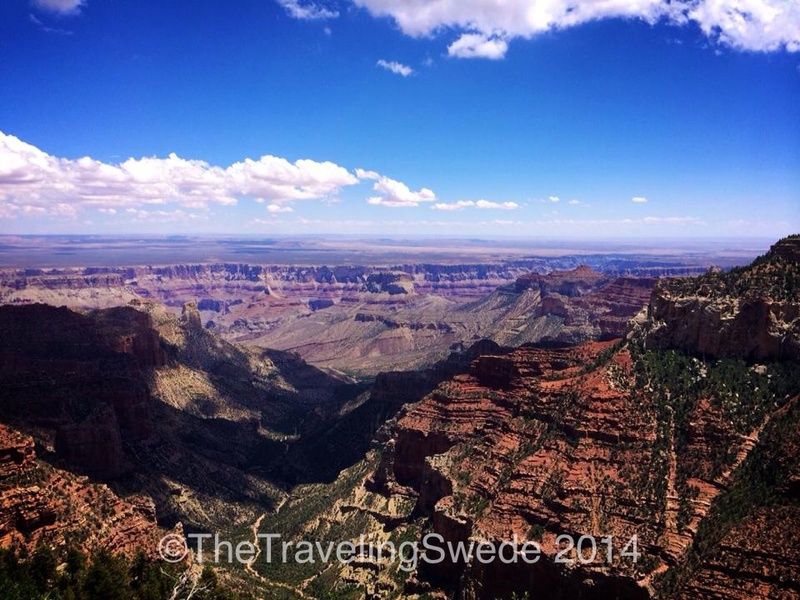 It is startling how different it is from the south rim, but it is significantly higher in elevation. Glad you played it safe! It is a lot higher and I would love to go there in the winter. Of course with a snowmobile since the road is closed. That would be one long hike in otherwise 🙂 Can’t wait until you get the chance to revisit! These pictures are amazing Camilla! I’ve lived on the east coast all my life but I’m hoping to move out west some day and get in on some of this landscape. I’d love to just mountain bike and camp all over that place. Have a great one! Thanks Brad! 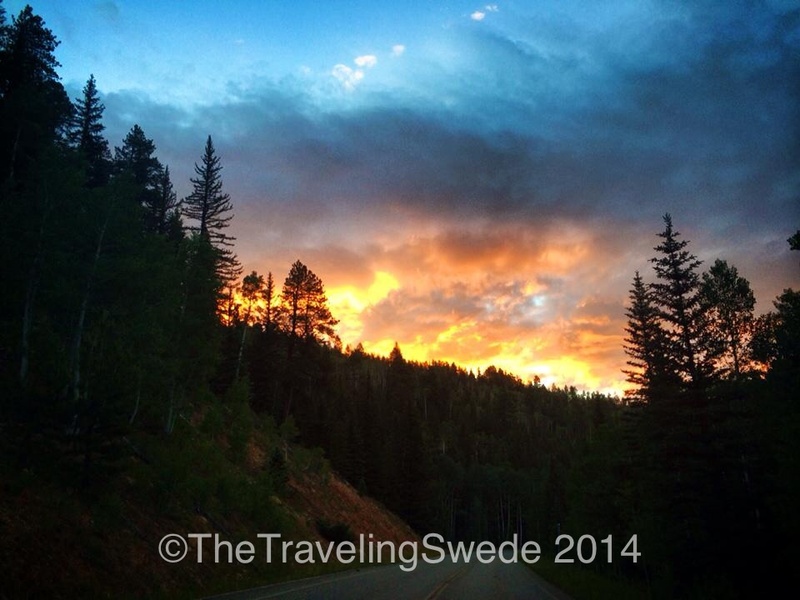 Yes, there are some amazing landscapes and adventures awaiting you out here. Hope you can get to visit here soon.